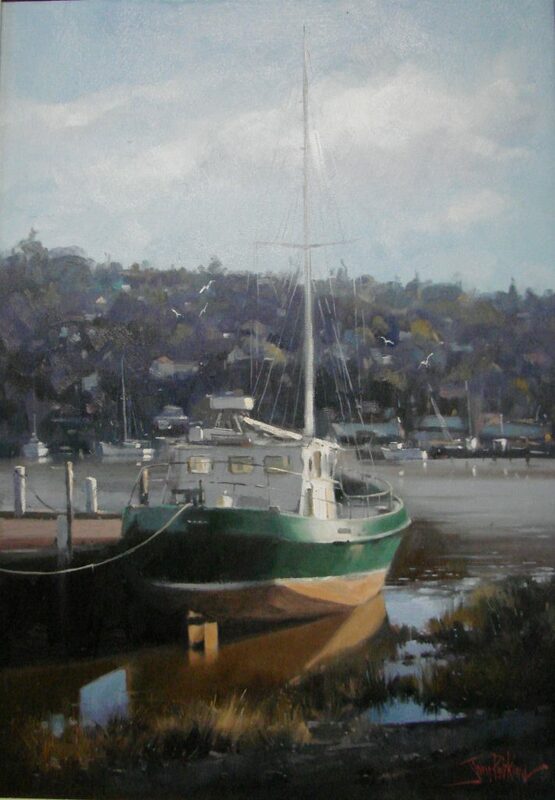 Reminding all that our next Monthly Meeting ‘Painting a landscape in Oils’ with revered artist John Perkins is coming up on Tuesday 14th August, 7:30pm at the Stan Stevens Studio, Deerubbin Centre, George St, Windsor. 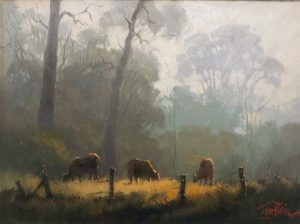 John has become a well-known artist with his work represented both nationally and internationally. Sought after as a demonstrator and Art Judge for exhibitions, he has been an art Tutor for over 35 years. A regular at the Mitchell School of Arts Bathurst, Grafton Arts Fest & Combined Art Societies Art in Action. 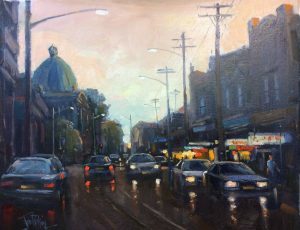 John is a Fellow and President of the Royal Art Society of NSW, former President and Life Member of Drummoyne Art Society, Honorary Member of Lane Cove Art Society and Inaugural President of the Combined Art Societies of Sydney. 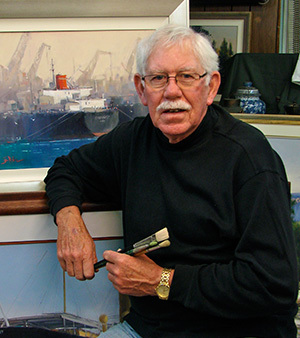 John is widely recognised as a traditional oil artist specialising in Still Life and Landscape paintings, he has, however, over the years pursued various other subjects – this has led to him being renowned for his Marine and Streetscape paintings. For inquiries phone Satya or Deidre 02 45783 555.